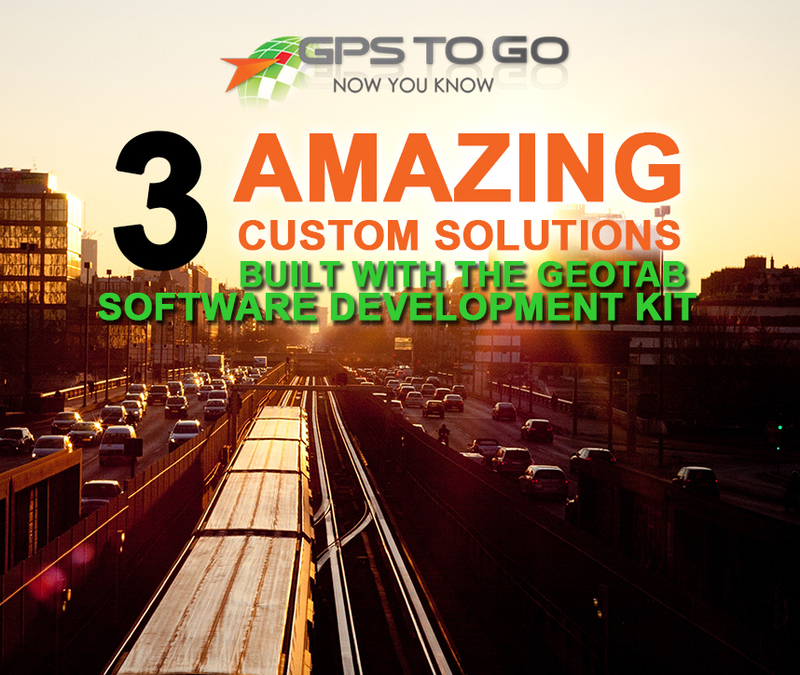 The Geotab Software Development Kit allows third-party developers to build on the Geotab platform to create custom solutions for their clients. Fleet Hoster is a leading company in working with businesses to develop these solutions. The beauty of working with Fleet Hoster is that you don’t need to be technically-inclined to understand what they do; instead, you describe to them what you’re looking for in plain English, and they handle the technical aspects of making it a reality. Here’s a look at three different applications that they have built, tailored to the specific needs of their clients’ business — giving them the ultimate fleet tracking solution. Give customers a link to a map of a vehicle that is en route to service their work order. The company would like the link to expire after 24 hours. The restoration wanted custom icons to indicate the status of their vehicles: red for stopped and green for motion. They wanted to display the vehicle name and speed in a popup if the customer clicked on it. They wanted the customer to be notified by text or email when the technician was a mile away. As you can imagine, this system would automate a lot of the company’s customer interaction, providing their customers with a better sense of expected timeframe and up-to-the-minute reporting on vehicles. Geotab is the ideal platform to build this functionality on top of. The dispatcher quickly selects the vehicle from a drop-down list and a link is automatically generated for them. The dispatcher copies this link and emails it to their customer. The link will be live for 24 hours. After expiration, the customer would be informed to call the office for a new link if needed. When the system detects the technician is within a mile of the location it sends a text or email to the customer. How It Could Help Your Business: Many companies in the trades and services already use telematics platforms like Geotab to keep tabs on their own vehicles; this sort of application allows your company to harness that information and share it easily and directly with their customers, providing a better level of customer service. Requirements: Companies with regular deliveries and pickups are another industry that Geotab is ideal for. Here’s how one such organization improved their route efficiency and helped automate reporting, cutting down on wasted time and money. The company asked to use their existing route stops and times to automatically create routes and route plans in Geotab. As part of the scope of the project, they requested the creation of “On-Time” reports to assess the delivery times to these stops on a daily, weekly, and monthly basis, according to their fiscal year reporting requirements. Drivers and vehicles could take different routes schedules and drivers could switch vehicles. They also wanted to utilize the security of Geotab so that within the single reporting platform, different elements could be viewed by different managers, depending on their position within the company. Solution: Fleet Hoster developed an external-hosted web application, built to enter and update the known route schedules. Geotab web services were utilized to send the application entry and exit information for zones along those routes. A custom algorithm was designed to automatically assign the routes for them using the alerts for who was driving what vehicle to assign them to routes and then upload those route plans to Geotab. Custom “On-Time” reports were created using SQL Server Reporting Services and integrated into the application to allow granular reporting of deliveries. The solution was automatically built into the Geotab software for everyone to view. The data is filtered by the group security settings of the signed in user to Geotab. How It Could Help Your Business: Route management is one of the biggest challenges for companies that constantly have vehicles on the go. The Geotab GPS Fleet Tracking System offers industry-leading features out-of-the-box for route optimization, and custom solutions like this one just take that functionality to the next level. Screenshot: Here’s a look at what one aspect of the completed functionality ended up looking like. Requirements: Before coming to Fleet Hoster, the company got risk management data from Excel reports from Geotab, extracting and inputting the data into their software for further analysis. 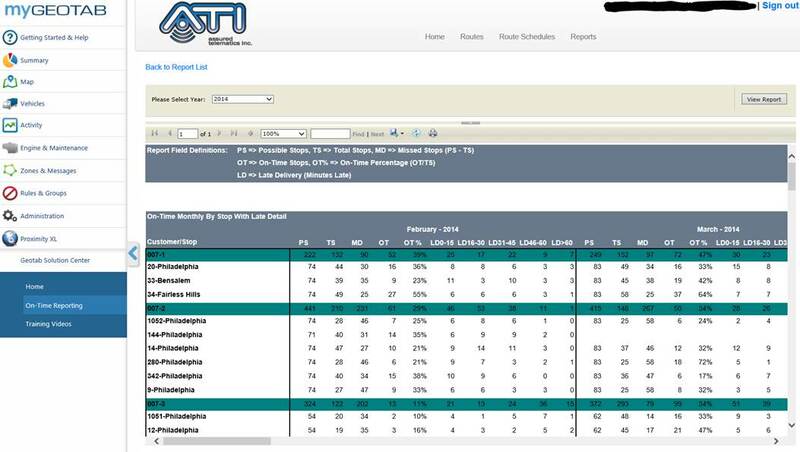 The company asked Fleet Hoster for more features to be added to this report than Geotab’s out-of-the-box functionality provided – very specific, unique calculations ran against the data. They also asked to have the data automatically deposited directly into a staged database overseas. The company requested the functionality to be provided for multiple customers at any point in time. The data is extracted per customer/vehicle and analyzed every Sunday morning for the prior week. The data is then deposited directly into a staged database at a location overseas. A summary report is then emailed directly to managers informing them of the number of devices that were analyzed for each customer along with devices that had no trip data. The company can now take the data directly into the production server without human intervention. The web application has built-in security and will allow them to enter new customer connection information and set profiles up for risk management data on a customer by customer basis if needed. Due to the security and sensitivity of the application, no pictures are shown. How It Could Help Your Business: B2B companies in the business of providing data to customers can build upon the detailed data recording that Geotab provides with the state of the art possibilities that the developers can use the SDK to bring to life. A fleet tracking system from Geotab can provide your business with a competitive advantage. The benefits provided by integration with a custom software development kit solution can send you soaring even further beyond the competition. Get rolling with our $50 trial offer today. Here’s how it works: we send you the devices, you plug-and-play with a no risk trial. Setup is quick and extremely easy. We’re sure that you’ll quickly see the benefits for your business. There’s no contract to sign, no obligation, and if you’re not completely satisfied, just send it back. If you’re ready to purchase, the $50 is credited to your account. Get rolling today!